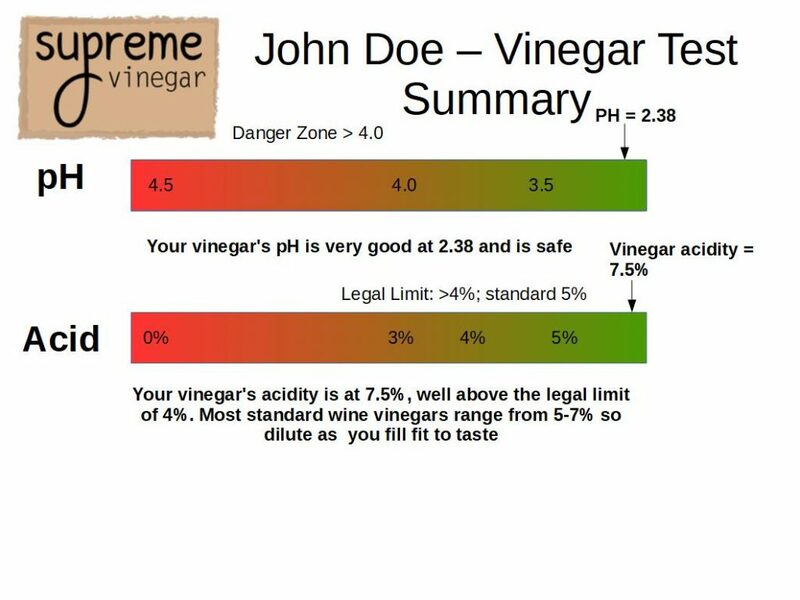 Here at Supreme Vinegar we frequently get inquiries about testing vinegar acidity or even questions about what bacteria someone’s vinegar has. We frequently test all of these in our own vinegars and would now like to extend our services to all home vinegar or kombucha makers. Acidity testing is done using sodium hydroxide titration and the average of three measurements to estimate acidity in % (g/100 mL). In addition we give you the pH reading from a professional meter. For up to three different samples of vinegar or kombucha, we are offering acidity testing for $7 total (not $7 for each sample), not including postage by sender. Additional samples are $2 each. Please send the vinegar or kombucha to us with at least 2 oz per sample in a sealed (preferably twist top) container appropriately packaged to survive shipment. Please allow 2-3 weeks for us to return results. In addition, you may want to determine the approximate types of microbes that are doing the acetic acid fermentation in your brew. We will also perform this service as well and can use the same 2 oz sample. We will culture the bacteria, submit samples for 16S rRNA DNA sequencing, and interpret the results for you on a chart like the below that identifies both the approximate species as well as provide the sequence files on request. Please note, we can only identify 1, likely the most common, species where there could be multiple ones given the costs of an exhaustive species listing. The cost for this service is $39.95 per sample. However, for 3 samples we can do them for a discounted rate of $99.95. Send all shipments to the address below. As a courtesy, please let us know you have shipped at vinegarmaking@supremevinegar.com. Please note: these services are primarily for small vinegar makers or home vinegar makers. For more accurate reports to meet regulatory or lab research standards, please contact us for a custom quote at vinegarmaking@supremevinegar.com. 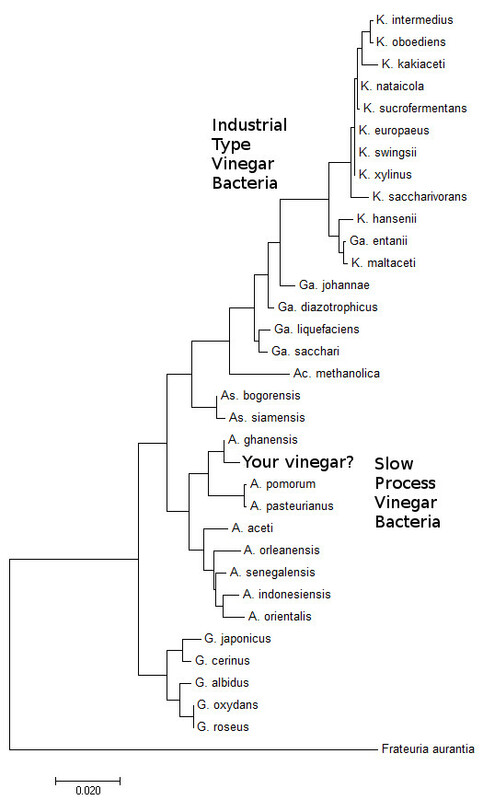 Do you do probiotic testing on vinegars?